Click here to visit the Nestle facebook and like them. Then on the “Hydration Movement” tab, x out of (or take) their pledge. Then click “Enter The Sweepstakes.” Finally just fill out the form to enter their sweepstakes. 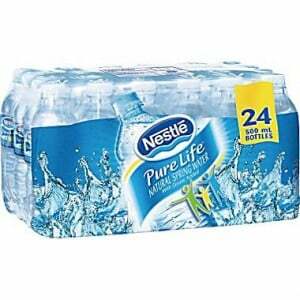 100 lucky winners will score a free 1 year’s supply of Nestlé Pure Life Purified Water to be awarded in the form of twenty-four (24) coupons, each coupon good for one (1) free Multi-Pack (20-Pack or higher) of Nestlé Pure Life Purified Water. You can enter daily through November 30th. Good luck!